The Pinehust company is named after the Pinehurst Manor. This historical building from 1904 is situated within walking distance of the center of town, at 800m of the train station, and it enjoys its own green surroundings, bordering at the city park. 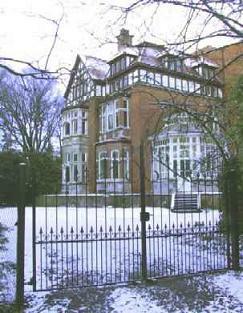 The Manor currently is a real estate complex consisting of 7 one-bedroom flats, 10 studios and offices. Finding a new future for the convent of the Poor Clares, which was originally built between 1890 and 1902, became our second project. 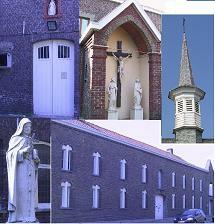 The choir and the chapel were converted into seminar rooms and exhibition space. Part of the complex is used as office space by jobEQ.com and Pinehurst NV. Another part of the building was converted in 9 appartments, as well the house for Patrick Merlevede and his family. And the last part still needs to be finished. Our 3rd project consists of a large city house where a small textile factory has been built in the garden. The oldest part dates back to 1750. The newest part (the factory wing) dates from 1880. We are currently converting this building into 11 housing units.